Browse through our gallery and discover how you can stay in the heart of the historic Queen Anne neighborhood without breaking the bank! 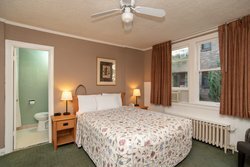 Our charming hotel was built in 1928 and was previously home to nuns of the Catholic Church. 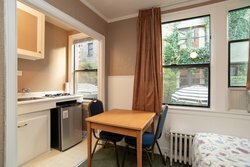 The Inn at Queen Anne does not have an elevator, but each of our quaint lodgings feature a small kitchenette so guests can prepare meals in their room, perfect for extended stays. 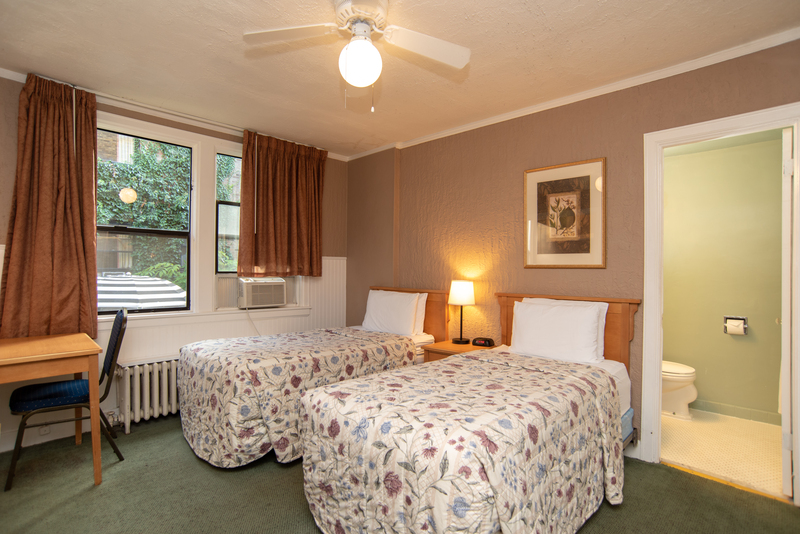 In addition to our affordable rates, we have exclusive weekly and monthly discounts! 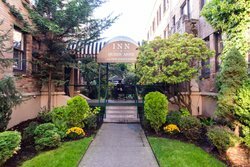 Experience the best of Seattle from the Inn at Queen Anne. Our hotel is within walking distance of lots of independent restaurants and shops in the historic lower Queen Anne neighborhood, and things to do like the Space Needle, Chihuly Gardens, and KeyArena. 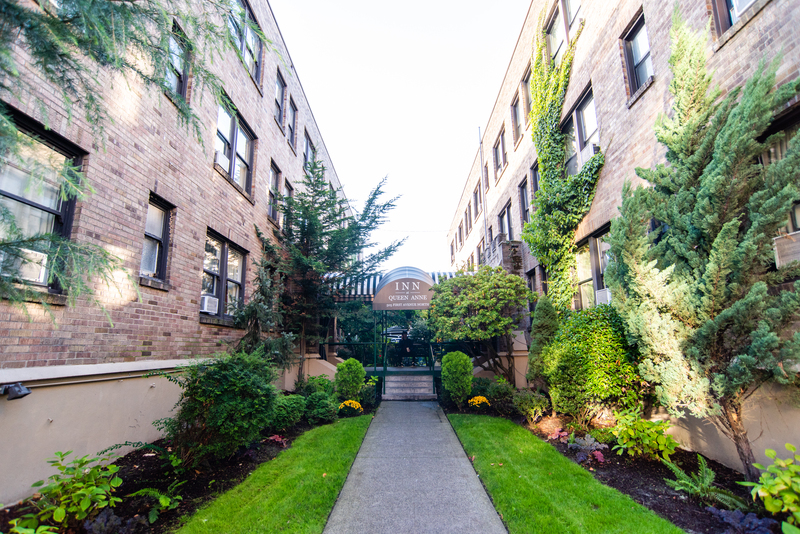 We’re located right by the monorail stop which easily zips guests to the heart of downtown Seattle and cruise terminals. 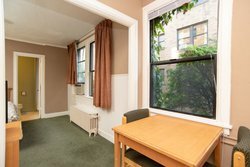 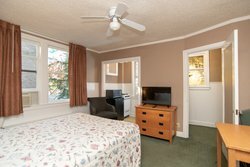 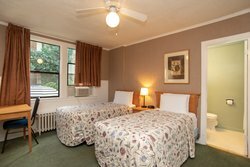 Have it all while traveling on a budget to the Inn at Queen Anne! 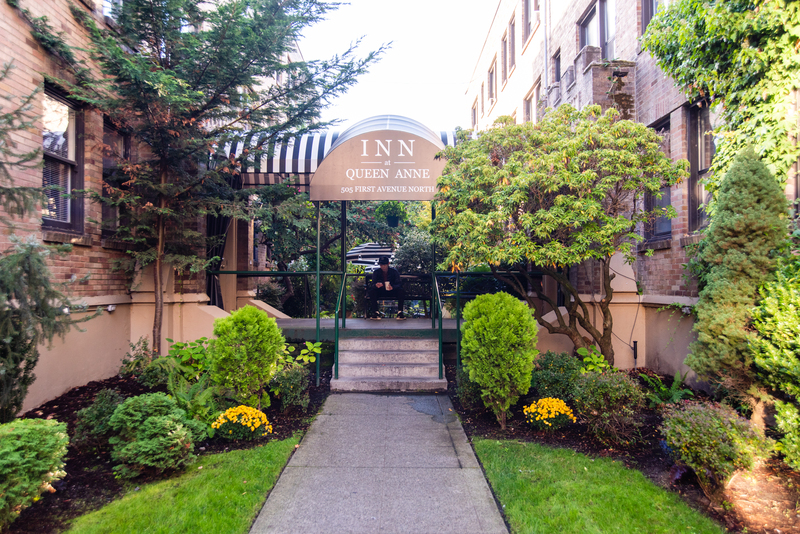 Experience the best of Seattle from the Inn at Queen Anne. 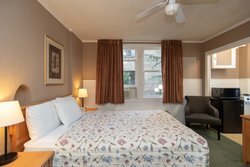 Our hotel is within walking distance of lots of independent restaurants and shops in the historic lower Queen Anne neighborhood, and things to do like the Space Needle, Chihuly Gardens, and KeyArena. In addition to our affordable rates, we have exclusive weekly and monthly discounts! Step back in time when you stay at our hotel in Queen Anne, Seattle, a rare gem that offers easy access to the modern downtown area. 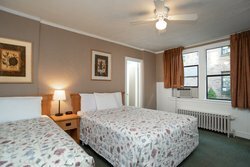 Sleep soundly in a comfortable queen bed with lots of pillows and crisp bedding. 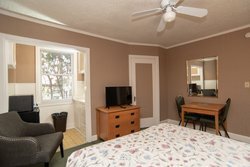 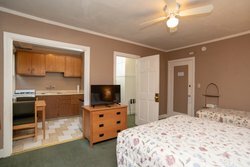 We’ve upgraded the historic Inn at Queen Anne to provide modern comforts, such as free Wi-Fi, a 32” TV, and kitchenettes with a microwave, fridge, stove, dishes, and small dining area. Allow yourself to become enveloped in our delightful Queen Room. 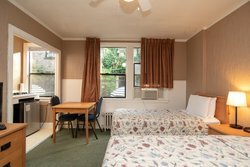 We’re located right on several bus lines and walking distance to the monorail stop which travels into the heart of the city. 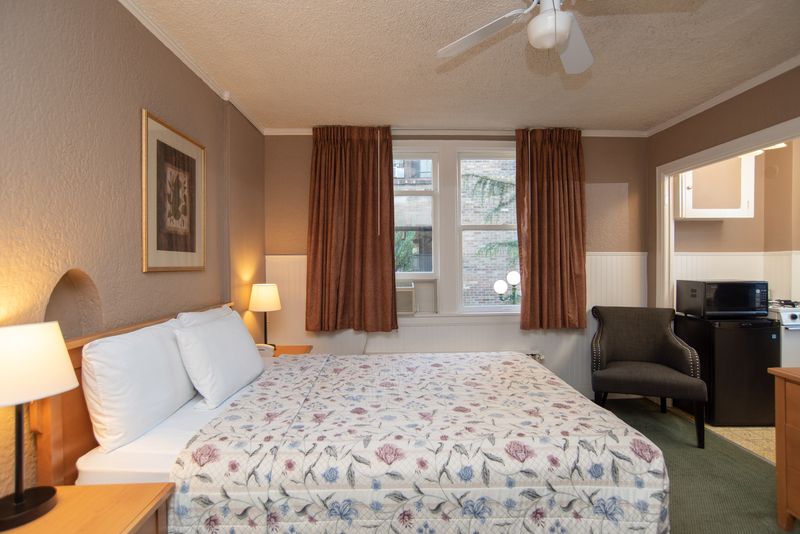 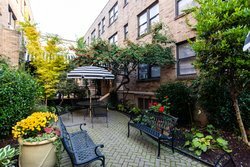 Lodgings in Seattle at the Inn at Queen Anne provide you with easy access to everything you want to see and do. 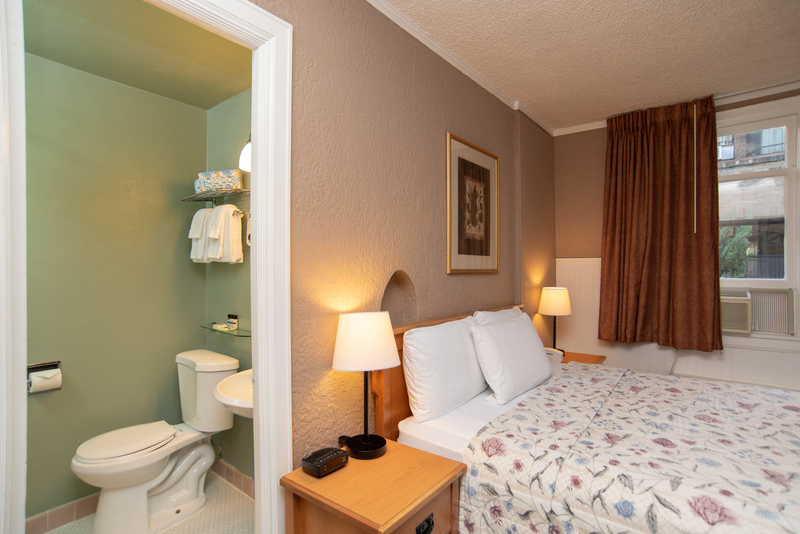 Simply make yourself at home within our charming rooms. 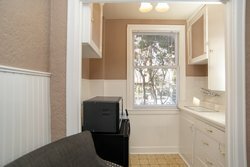 Unpack in the walk-in closet with plenty of space to hang all of your work clothes. Each of our comfortable rooms has a private kitchenette and small dining nook for you to prepare meals in your room. 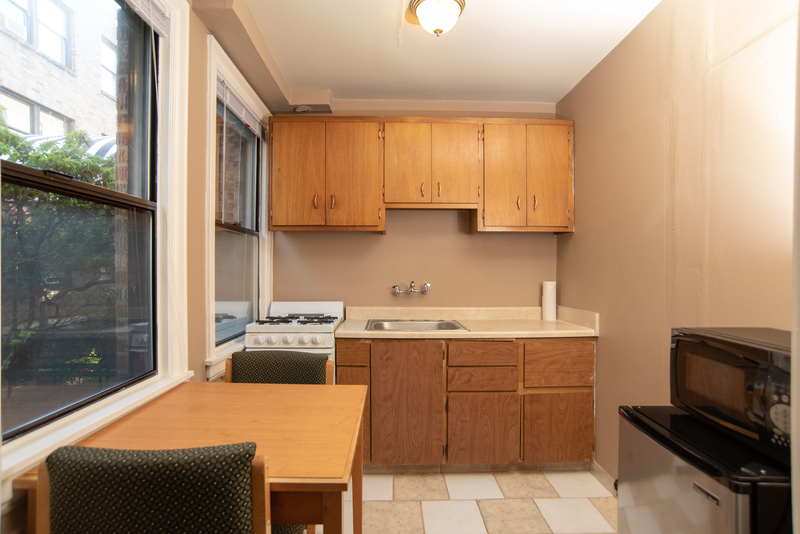 Everything you need is included in the kitchenette, such as a stove, microwave, fridge, and dishes. 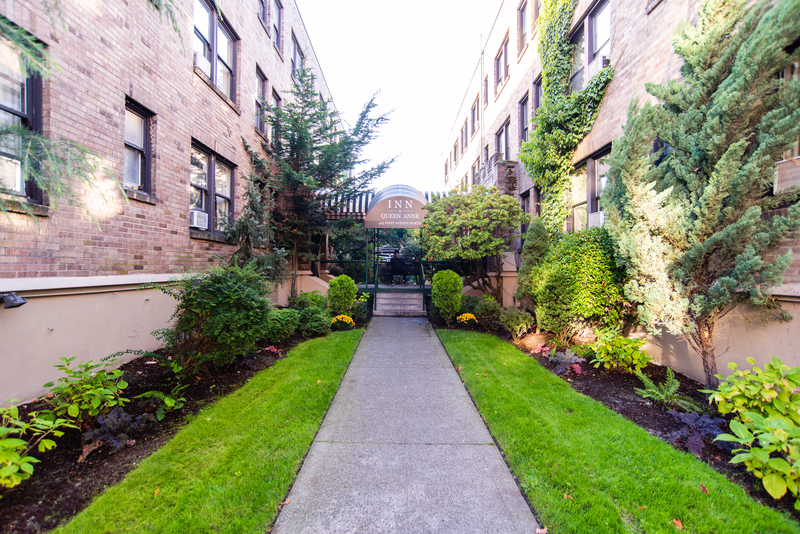 Let us provide some thoughtful suggestions of our favorite local restaurants for dinners out! 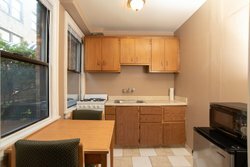 Everything you need is included in the kitchenette, such as a stove, microwave, fridge, and dishes. Let us take care of your morning meal with a complimentary breakfast next door at the MarQueen Hotel and provide thoughtful suggestions of our favorite local restaurants for dinners out! 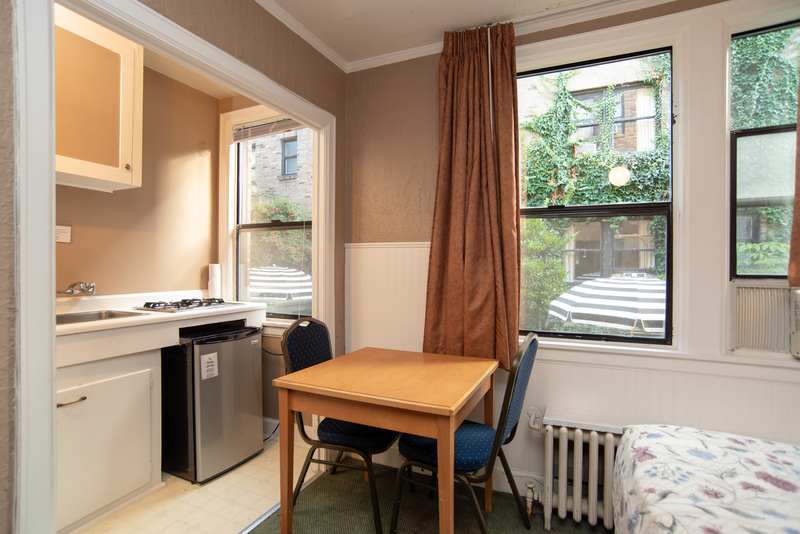 Prepare meals from the comfort of your own room as all of our accommodations have their own kitchenette. Enjoy the convenient use of a small stove, microwave, fridge, and dishes, in addition to a small dining nook. 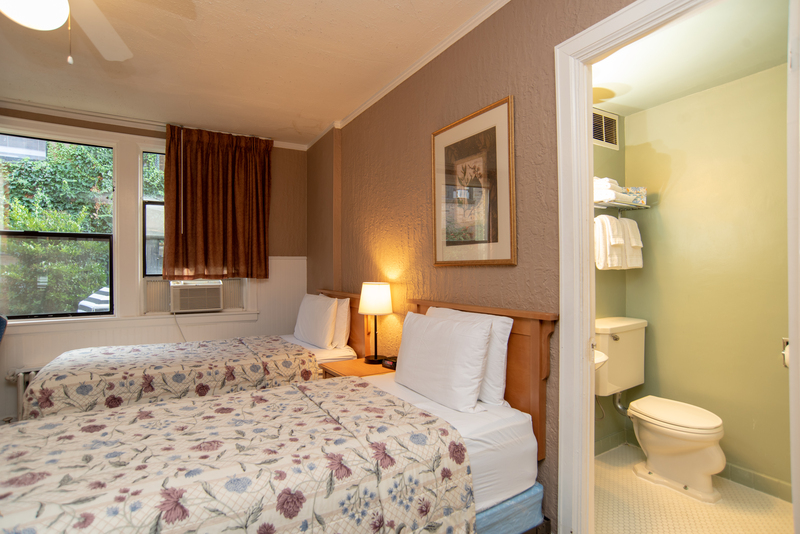 There’s plenty of space for three guests in the Queen and Twin Room! Relax and unwind in your quaint room with a walk-in closet, a 32” TV, free Wi-Fi, and private kitchenette. 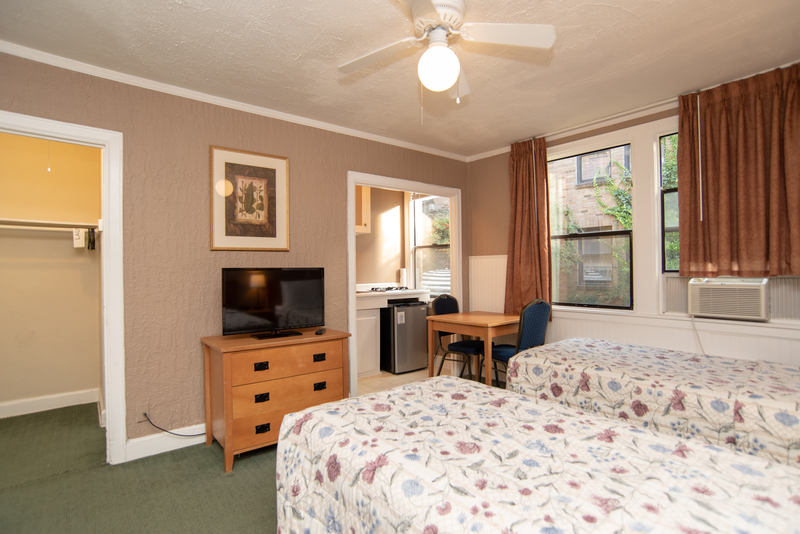 Perfect for a traveling pair, this room features free Wi-Fi, a 32” TV, and a walk-in closet in addition to 2 twin beds. Our rooms include conveniences such as a microwave, fridge, stove, dishes and small dining area. 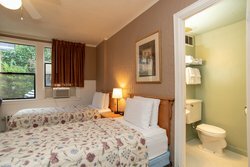 Although our historic boutique hotel was built in 1928 and there is no elevator, we do provide the modern convenience of free Wi-Fi throughout the building. There are no hair dryers and ironing boards in our rooms, but our front desk is happy to provide them at your request. 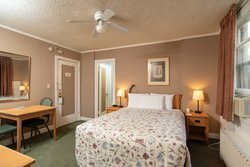 Although our historic boutique hotel was built in 1928 and there is no elevator, we do provide the modern convenience of free Wi-Fi throughout the building. There are no hair dryers and ironing boards in our rooms, but our front desk is happy to provide them at your request. Our priority is to ensure that you have a pleasant experience lodging in Seattle, Washington at our quaint hotel! Our charming hotel was built in 1928 and was previously home to nuns of the Catholic Church. 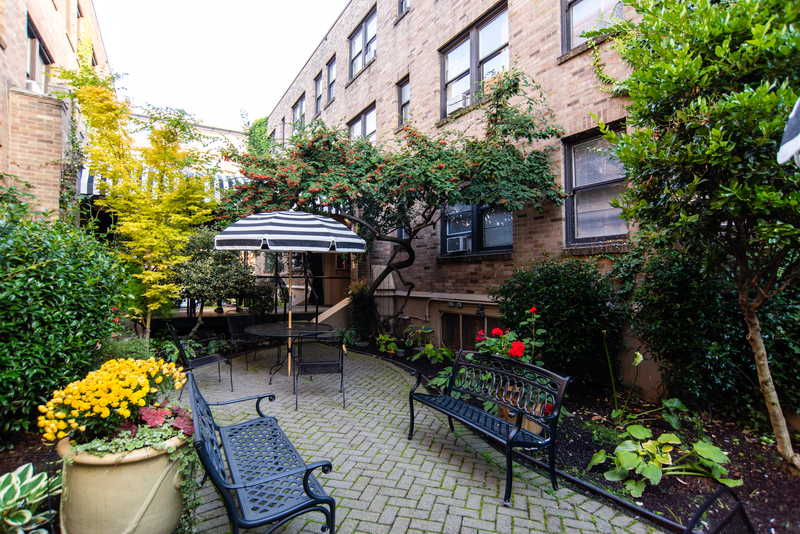 Relax outside amid English gardens. 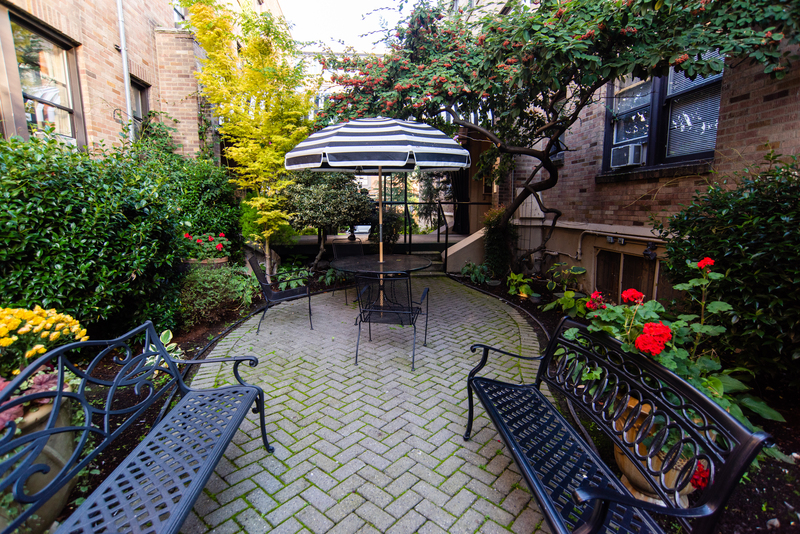 Our patio features a beautiful water fountain and pergola for our guests to gather outside.